I still find it hard to believe that I haven’t sent a text message for 3 months. I haven’t had a working mobile phone whilst I have been in the US; apparently I should have one in the case of an emergency but I haven’t got round to buying one yet. I still use my iPhone but only where I have wifi and all other communication happens via our laptop. I can make sure my handwriting is still neat, something that is easily forgotten when we communicate so much through technology. The anticipation of waiting for post and replies; I love checking our mail box every day to see what we have received. The thought that a piece of paper for me has travelled across the World makes me smile. Making other people smile by sending them post also makes me smile! Even though I don’t collect stamps or postcards (yet), I find it fascinating to see the different designs that are available in different countries. When I was younger, probably between 7-10 years old, I had a few pen pals. I can’t remember their names as I never kept in touch with them. Writing letters to family made me think about how nice it would have been if I had kept in touch with those pen pals. This led on to me doing a bit of research and signing up to 3 websites, all focused around sending/receiving post! Postcrossing – This is a postcard exchange site. The postcards are tracked when they are sent or received, and every member has a gallery to show the postcards that they have received from around the world. I have collected a few vintage postcards of places I have been to, so these are the ones that I have been sending. Depending on how long you have been a member, you are restricted to the amount of cards that you can send and receive at a time… I must send 5 to be able to receive 5! My postcards have already travelled to Russia, Poland, Taiwan and even to a WW2 Veteran in New York, who wanted people to share their family ties to WW2. I am looking forward to receiving my first postcard and I am quite interested to see the different stamps that will be on them! Swap-Bot – Swap-bot is a site where swaps are arranged for people to join. Letters, postcards, emails, Pinterest boards and parcels can all be swapped. You have to build up a rating to be able to join in with some swaps as some can have a larger postage value and members want to know that they will receive something and won’t be ‘flaked’ on. I have sent a couple of letters and I am also involved in a few quilt block swaps. I am hoping I can swap enough to be able to create a lap quilt from blocks that other swappers have sent me! I have already received some Washi tape samples (I love Washi tape!) and a couple of letters! International Geek Girls Pen Pal Club (IGGPPC) – This site has loads of stuff on! Every member has a list of ‘geeky’ loves; mine are linked to sewing, antiques and a couple of TV shows I watch. Every month you can sign up to be matched with a penal, who will have similar ‘geeky’ loves to yours. I have only signed up to one round up to now but my pen pal loves everything I love so I know that we will have lots to talk about! There are forums, monthly challenges and monthly swaps on here too. 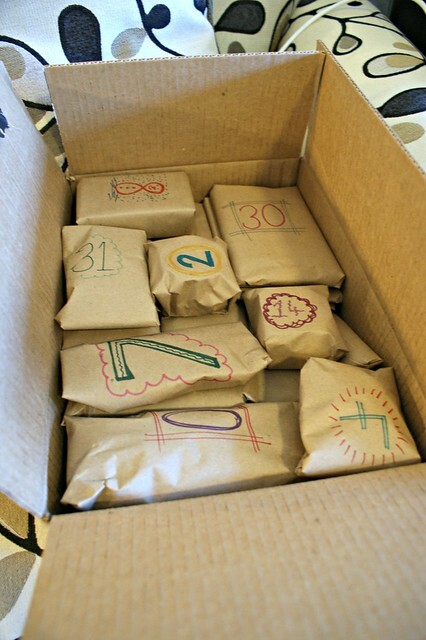 I have signed up to the Days of December swap, where I will swap a package of advent gifts for December. A budget of $10 was set, which is quite tricky to stick to! My parcel needs one more special present before I send it on to my swap partner! I posted my blog link on the blogging forum and another member read my blog and contacted me to say that she had some vintage patterns that belonged to her Grandma that she wouldn’t use. She sent me the patterns and a few other goodies too! It was such a nice parcel to receive and it sounds like we have quite a lot in common too! I do have the time at the moment to write letters and postcards…and I love it! I am hoping to keep in touch with the pen pals that I have and hope to have many more in the future! Have you ever used any of these sights? 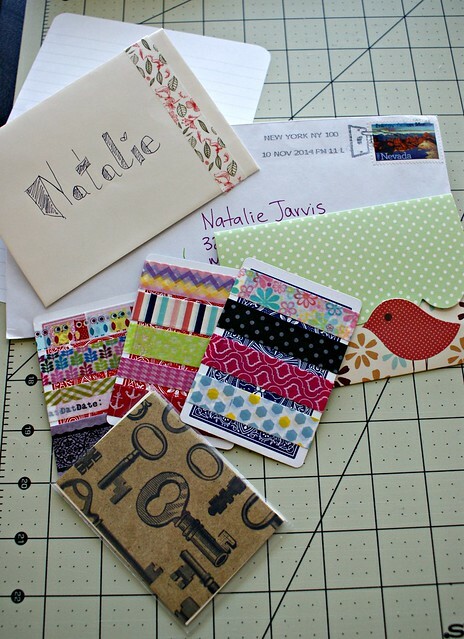 Have you ever had any pen pals? Tell me about your experiences! Yes! I love having penpals ! And I love writing letters. This is an absolutely wonderful post!! It’s great having someone to write to isn’t it! Thanks for the comment! I’m a member of IGGPPC, and since finding it I’ve found that it’s become a source of positivity in my life. I adore chatting with Iggles on Twitter and seeing bits of their lives. I even pen pal with a few of them, and am doing a #PrincessPenPals project that @Raindrop487 started. It’s amazing how meeting others with similar interests has helped with my depression. I’ve heard really good things about Postcrossing as well. It’s good to hear that it has had a positive impact on you 🙂 I have only just joined but I am hoping to meet many lovely people on there! I’ve not hear of #princesspenpals but will check it out! Thanks for the comment! I’m very envious of you receiving all of those beautiful patterns! Which do you think you will use first? Do you have a next project in mind yet? Isn’t is strange how you remember the names of people too! I still remember the names of the pen pals I had when I was 10! I’m also doing a sewing santa! They are very fun! I love letters too although rarely write them. I’m a librarian and letters are such a huge part of archival collections that it makes me wonder what will remain of our email or text messages for the social sciences researchers of the future. I have also wondered about that too! I know that letters have been an integral part of finding out about our family history… what will people use in years to come?! What cute ideas! How do you have time to keep up with all of it? I do like to write handwritten letters, but usually all I have time for is thank you notes.